Which will make it to the Super Bowl of planetary... er... choosing? Has the highest concentration of jerks per capita. Ever stayed in a motel room where you couldn't get the temperature right? That's Earth. Never been to a library. That's it. Cast your vote and then next week we'll have the final vote to determine the ultimate planet! After much internal wrestling, I opt for good old Mother Earth. I realize that my decision may be based totally on where I live. I'm wearing shorts and a t-shirt. If I was buried in snow, like many others are currently, I might choose differently. Venus all da way!!! I'm upset Pluto wasn't eligible. I like hot weather, and your statistic about jerks per capita confirms my vote. This is your best planetary war post, TS. Very humorous. 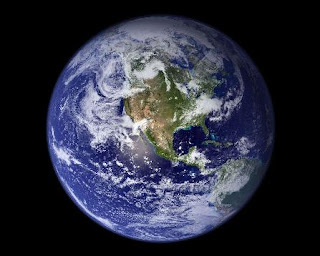 Thanks Robyn, I'm glad to see so many not just going with Earth because it's home. My favorite color used to be green, then the environmentalists stole it. Now I can't use it without people assuming I'm into recycling. 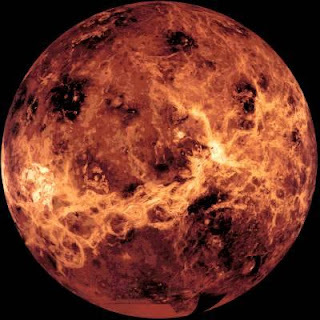 This just ain't fair to Venus...anything with Earth in it, well, Earth has gotta win. Maybe we should include the moon on something, maybe with the sun? How about a contest between super novas and black holes? The only people to land on Venus and take pictures were the Russians, and then Venus promptly squashed and burned their robots. Ha, take that Commies! (They were communist back then, so it was funnier back then.) So how can you not like a planet that shows no fear of Mother Russia? Impressive. But...not quite impressive enough. Let's see you give us a sunny day. Just one, in a thousand years. Can't do it? Well, then Earth will have to get my vote. Sorry. I love the facts about the planets, 'hates puppies' ha! but i am going to have to go with Venus just cuz Earth doesn't have cup holders. ya know the saying TS "men are from mars women are from venus"
I watched the movie 2012 last night so in light of that....let's go Venus.